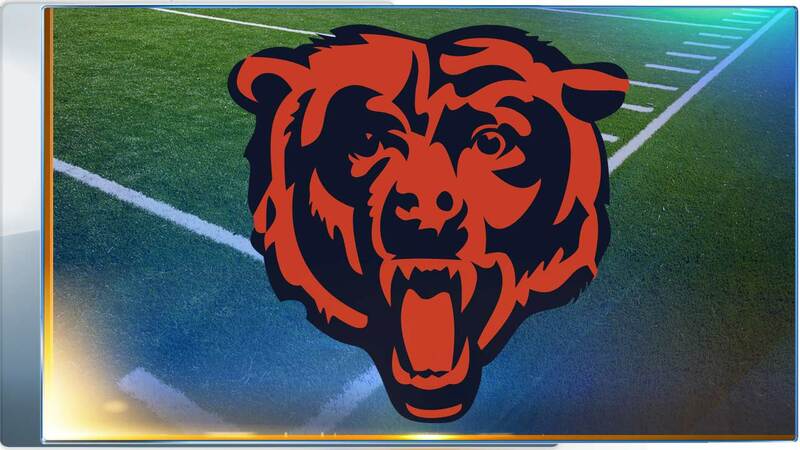 CHICAGO (WLS) -- Twenty-seven carries for 80 yards and 2 touchdowns. That's Jeremy Langford's rookie season to date. But come Monday Night in San Diego, that will change as he makes his first career start, replacing the injured Matt Forte. " I'm excited," Langford admitted Friday, "Whenever I get the ball, whether its one carry or ten carries, I just try to make the most of the opportunity." He's certainly going to get that. Jay Cutler acknowledged the Bears will feature Langford against the Chargers and the quarterback has little choice but to put his trust in the rookie. "Matt's not coming back... at least not this week, but like I said, he makes it easy." Cutler reiterated Langford's 4th quarter drop last week was uncharacteristic, further praising his preparation for a bigger role on a bigger stage - "He's developing into a pro really quickly. He knows what we're asking of him, knows the protections, obviously knows the run game, he's picking up the pass play pretty quickly," Cutler said. That all sounds like the influence of Forte. The two have worked together since Langford arrived for OTA's last spring and the rookie said the lessons from the veteran haven't stopped... despite Forte's injury or lingering contract expiration. Langford was drafted to be the next and if he shines in a fill-in role, who knows what that means for the veteran turning 30 later this month. But that's a discussion for a later time. Langford's opportunity is now and he's ready... as much as he can be. In the meantime, Martellus Bennett's creative plea to catch more passes came as no surprise around Halas Hall. Cutler shrugged it off quickly, " Marty wants the ball, it'd be a problem if he didn't." But often ( and obviously) those things are dictated by opposing defense. Offensive Coordinator Adam Gase said as much today, "People are going to notice if a guy has 11 catches in one game, is targeted 11 times in another- defenses are going to notice. There's been a few times where I've called plays thinking the balls going to him and they roll up on him or take him away with 2 guys and the ball ends up going somewhere else." Gase added that Marty's value is beyond just catching, his consistent blocking on a continually shuffled offensive front has been vital and will be again for Langford. Speaking of Gase though, the Bears OC quickly dismissed head coaching rumors elsewhere. Saying thats way too far down the road right now an his focus is on finding ways for the Bears to win. But reality is, if he continues to get efficiency out of Cutler- despite all the injuries-- can maximize Langford's skill set, and manage a miffed Marty... those rumors likely to get louder.